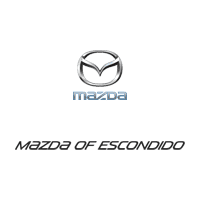 Welcome to Mazda of Escondido. As a proud member of Penske Automotive Group, we are dedicated to serving all of your automotive needs and providing the best customer experience possible. As one of San Diego County’s most trusted Mazda dealerships, Mazda of Escondido has all the latest new Mazda vehicles in stock, including the 2018-2019 Mazda3, Mazda6 and Mazda CX-5, plus a number of Mazda Certified Pre-Owned vehicles and used Mazdas as well. In addition to our expansive Mazda inventory, we also offer our customers a variety of used cars from other automakers too. While you’re on our website, be sure to visit our specials page and browse our used cars under $15,000 inventory. When you’re ready to experience the exhilarating efficiency and outstanding performance of the Mazda brand, fill out a credit application on our financing page and come on in for a test drive!